Tomorrow is Universal Children’s Day. The aim of this day is to promote international togetherness, awareness among children worldwide, and improving children’s welfare. This year the world is going blue! Unicef is asking individuals, schools and corporates worldwide to go blue to help build a world where every child is in school, safe from harm and can fulfil their potential. In Australia we are being asked to remember the 22 children still trapped on Nauru in our name. 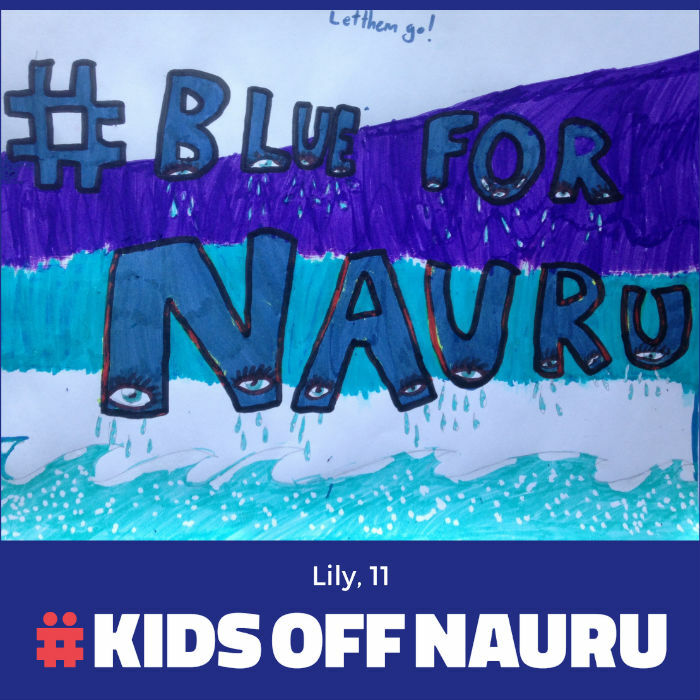 As you #GoBlue tomorrow, why not #BlueForNauru and raise some money for your local asylum seeker/refugee support service or event write an open letter to your local MP or the PM. Have some fun going blue!